In 2010, Hardy County needed a small facility to test their water before the construction of their new water plant. The county chose a 20 gpm pilot trailer plant to test the high turbidity water for a twelve week period. After testing the water, the project was split into two phases. Phase I involved bidding a site security package while Phase II involved getting permits, certificates and building the new plant. Construction of the new plant began near the end of 2010. The new Baker Water Treatment Plant removes high levels of turbidity, iron, manganese, and organics. 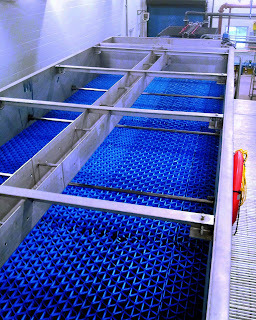 The plant uses two surface water pretreatment systems for turbidity removal, two Ultrafiltration membrane systems for bacteria and virus removal, one clean in place system, and a Master PLC control panel to automate cleaning and operation. 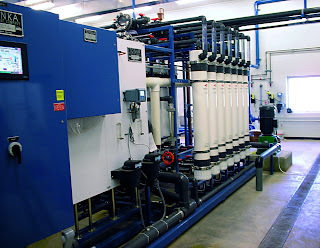 How it works: Water from Parker Hollow Lake is pumped through the Unitized Treatment System, which combines flocculation, clarification and filtration to remove the large contaminants, then pumped through the membrane system, which removes the microscopic contaminants. Chemicals are added before the water is collected into a storage tank where the water is gravity fed through lines. With the start up in January 2012, the community of Baker officially has clean water.